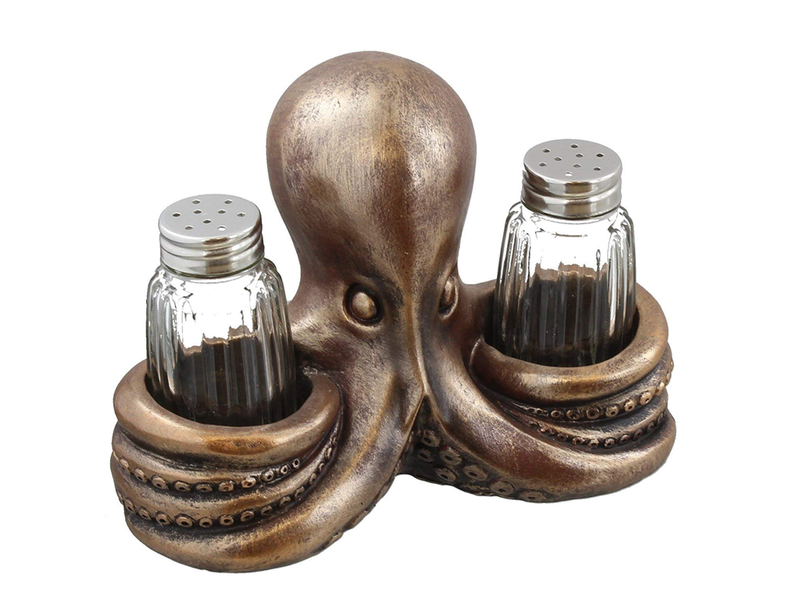 This Steampunk Octopus Salt and Pepper Set is sure to attract attention because it is so unique. A perfect choice for a beach house or someone who loves alternative ideas. Any seafood dinner layout is sure to shine with this cute shaker set on the table. It is hand painted and made from polyresin. The glass shakers are included of course because it would be difficult to find ones the right size. You can design a rustic beach house kitchen by using rustic tones and seaside themes. 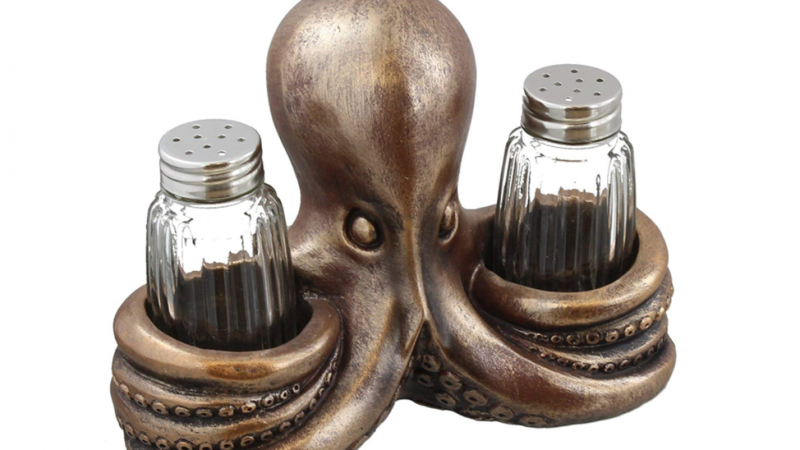 This octopus shaker set will be perfect because it features both of those things. Rustic colors are popular in beach house kitchens because of the sandy hues. You can find inspiration for a style like this by thinking of sandy or driftwood tones. Shells displayed in jars or decorative bowls work well with this style. You can display your cool beach finds in interesting ways because this will add a personal touch. Other octopus accessories will look wonderful displayed with this item. Blues, sandy browns and greens are popular color choices for beach houses because of the natural tones. You will love the way that this cute shaker set compliments any existing beach house decor. Small details like shaker sets can make a big difference because they add to the atmosphere. Guests will notice your eye for detail and appreciate the novelty of this item. The octopus shaker set is the perfect housewarming gift for anyone celebrating a move to an abode by the sea.